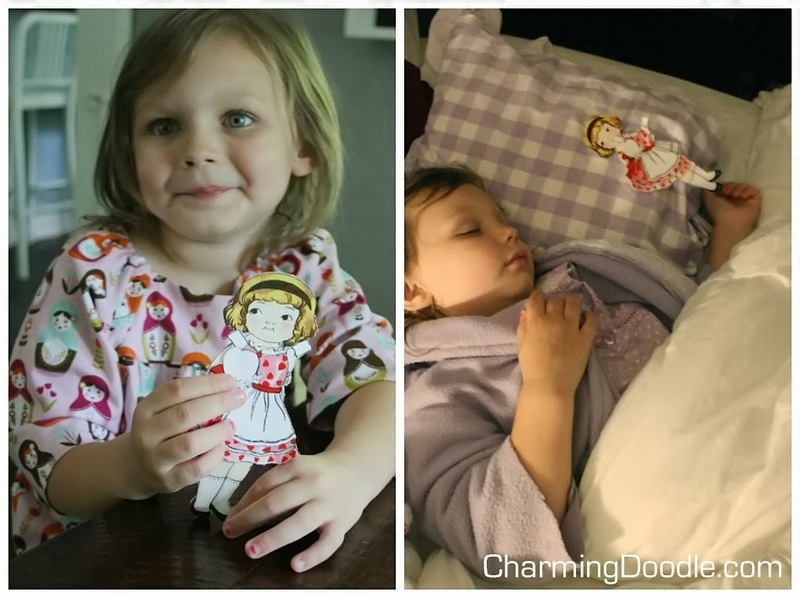 Do you remember playing with paper dolls when you were little? I do and they were SO much fun! My parents recently took a cruise to Alaska and brought back a fantastic set of paper dolls for my girls with all different Alaskan outfits. Cute! When I was fabric shopping in Minnesota I came across this amazing fabric with 'paper' dolls all over it. There were several versions of the fabric, one with dolls, and two others with different clothes. 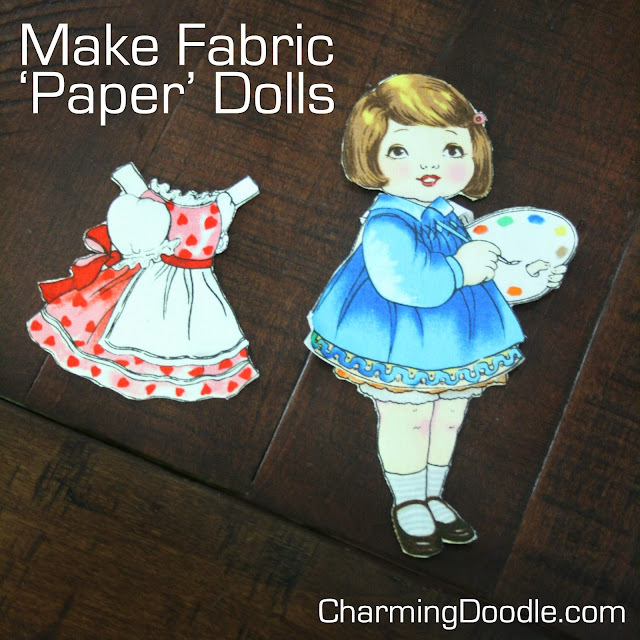 I bought a bit of each and have lots of these cute and easy-to-make fabric dolls to put together for my girls this Christmas. First roughly cut out the paper dolls and clothes. Then cut a piece of stabilizer similar in size. Fuse the stabilizer to the fabric following the manufacturer's directions. Then cut closely around the doll and clothes shapes. I made two dolls and a set of clothes for each to see if my girls would like them and they were thrilled! They spent a long time playing with their new 'friends' and later that night I found Isa sleeping with her fabric paper doll! 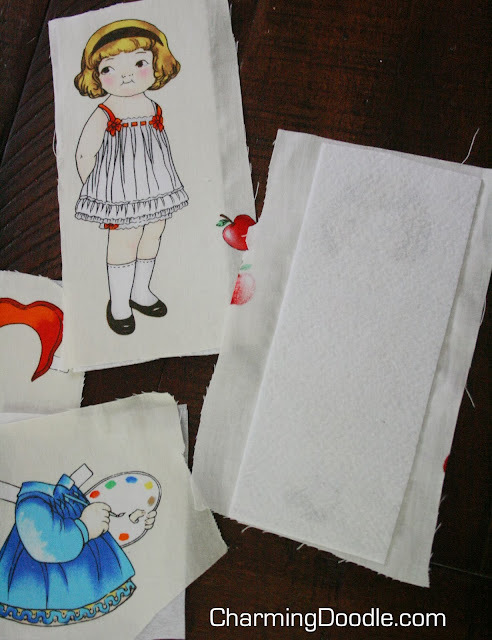 You could do lots of variations of these using the paper doll fabric. Adding Velcro or snaps to the outfits would keep them on securely. You could use fusible fleece and the dolls would stick to a piece of flannel mounted in a frame. Or you could sew these with an additional piece of fabric on the back and stuff them as a soft doll. If you make some dolls I'd love to see them! Happy sewing! 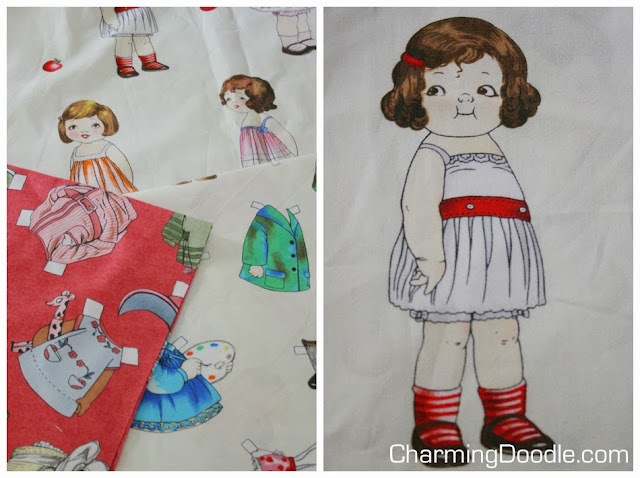 I loved dressing up my paper doll :) What a clever idea to make them out of this gorgeous fabric!